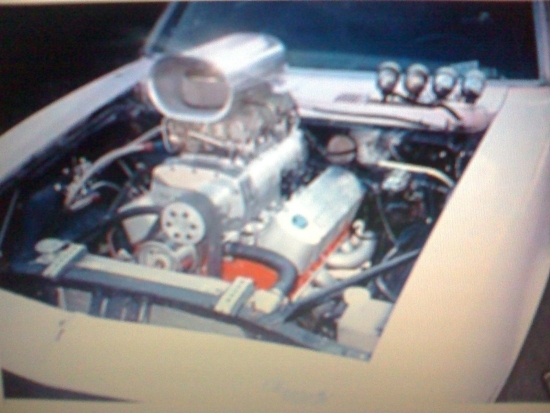 The engine is a brand new 454cid standard bore, 4 bolt main block, steel crank, steel GM 7/16 dimple rods, TRW 7.50:1 pistons. The cam is Chet Herbert .666/.686 solid roller, Erson 1.72 roller rockers, crane stud girdle. Heads are GM 4th gen square ports ported and polished with Manley 2.19 int 1.88 exh. valves. 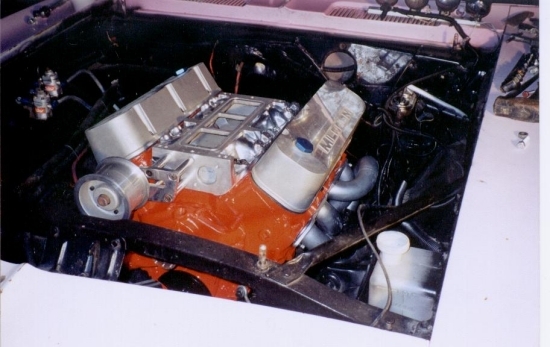 Intake is a B/M 420 Megablower. Carbs. are Holley 850's. 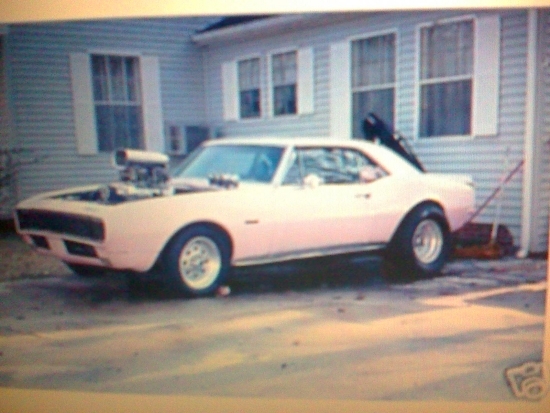 Ignition is all Mallory dist, High Fire 4 box, and coil. 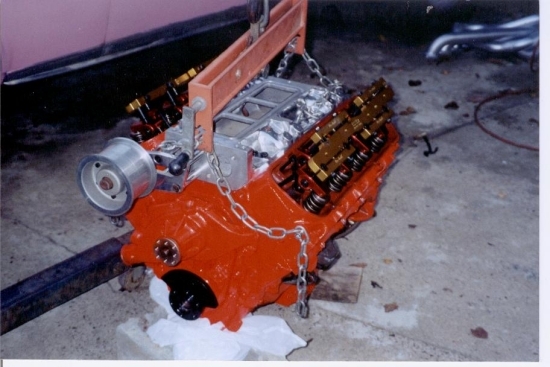 Trans is a TH400 with reverse manual valve body, GER 3800 converter, 3.5" drive shaft built by Jackson Powertrain. Rearend is a 1970 Hemi Cuda Dana 60 with 4.10 suregrip. 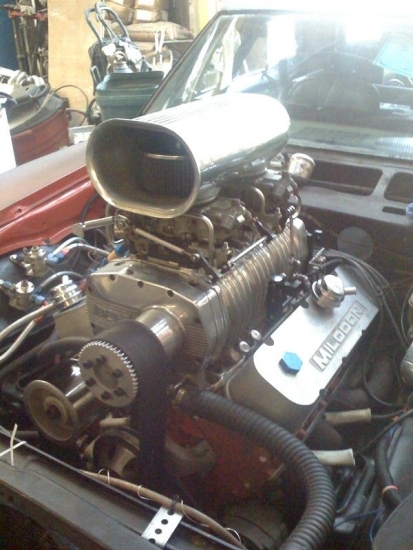 Fuel system is all Mallory with twin Comp 250 pumps, filters, and regs. Fuel cell with sending unit holds 10gal. Wheels are Weld Superlights 15x3 front 15x10 rear. Tires are Moroso front and 325/50.15 Mickey Thompson ET Street Radials. Extras. Car comes with every thing needed for leaf spring relocation and axel floter kit. All new sheet metal ,chrome,emblems, and all new interior complet from Year One. All new electrice motors for hide a way head lights. Now he is going to finish this 20 year old project and from what I have seen so for its going to look amazing.